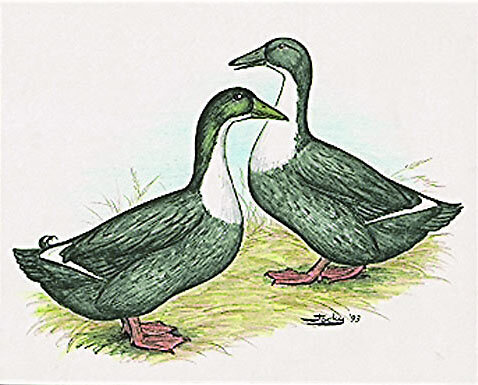 Blue Swedish ducks are an attractive breed known for their blue color and white 'bib' that runs from under the bill to half way down their breast. 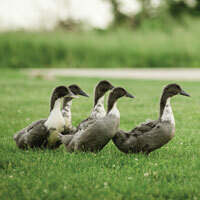 Swedish ducks also have some white on their wings that creates a very eye-appealing color contrast. 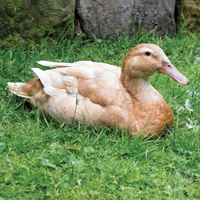 Swedish are very hardy ducks and good foragers. Drakes will weigh around six pounds. Hens will weigh up to five pounds and will lay mostly white eggs, with the occasional blue or gray tinted egg. THE COLOR BLUE: A unique genetic feature of this breed is the constant recurrence in the offspring of not only all blue chicks, but also the black, white, and black-white colors used in the original matings many generations ago to produce these blue birds. 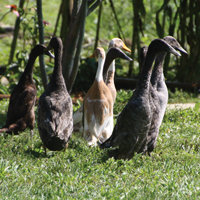 All of these chicks carry the blue genes and when mated black on white or with other blues in turn produce many blue offspring. In our breeding flocks, however, only blue males of the finest color are used. Approximately 50% of the baby chicks will be all blue. The other 50% will be black, white, and black/white combinations. Lovely ducklings!We received 2 Blue 2 Black Swedish a week ago, so I can't say how they'll be as adults, but they're sweet, beautiful, friendly ducklings. 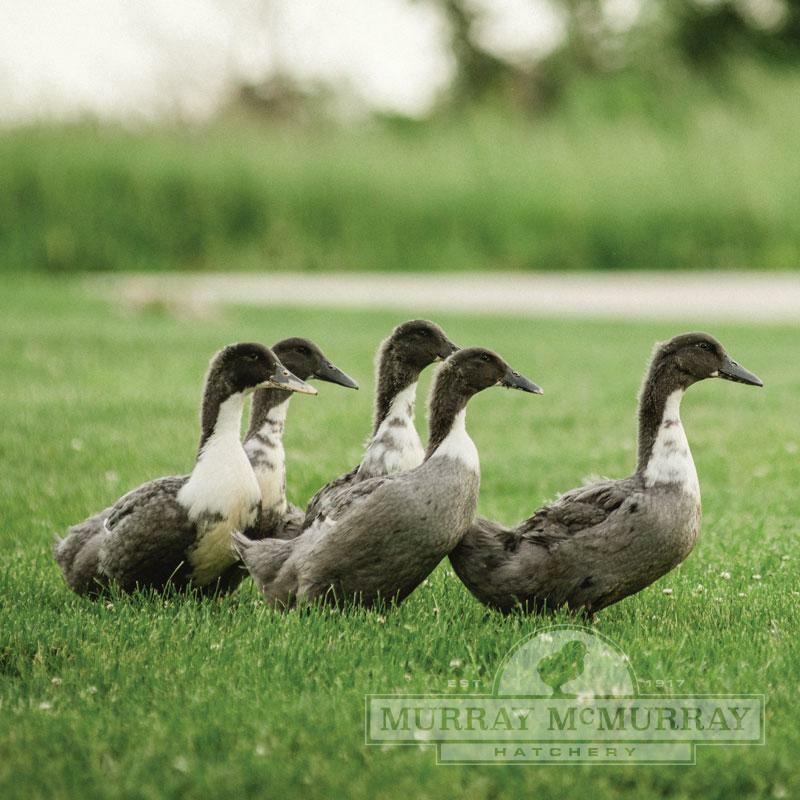 We very much appreciate all the effort McMurray goes to to provide healthy birds, and to help customers keep them that way. That's why this is one of the two hatcheries we always buy from. However... the advice on keeping ducklings out of water for two months is far too conservative. The rationale makes some sense: since they hatched in an incubator, they don't have their mother's help to oil their down. 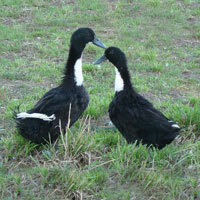 But they have their own oil glands, and they preen frequently at least from Day 2. On their 3d day from hatch, I took them to an outdoor pen to play in the grass, and I set up a wide pan of water an inch or so deep. As expected, they hopped in and splashed around like crazy. They had a few wet spots, mainly on the upper back and top of the head, where it's hard to preen. But they were dry in minutes. The next day I set up a large plastic mixing bowl 8-10 inches deep. The ducklings spent most of the afternoon splashing and diving, and two of them still had small wet spots, but with no ill effects. Since then, I've been giving them free access all day long to a kiddie pool full of fresh, cold water. They love it! We give them bits of kale and Greenleaf lettuce to dabble with, and they're in heaven. My advice is to be careful, supervise their first encounter with water, just in case for some reason your ducklings have failed to oil their own down, but use some common sense. They're ducks, after all, and keeping them away from water for TWO MONTHS sounds like borderline duckling abuse. Likewise, from what we can see, the temperature schedule given by MM is way conservative. Our little ones are doing fine at night at a house temp in the low 70s, after less than a week. We provide a small, gently warm heating pad just in case, but they hardly use it. Thanks again McMurray, from Ellensburg, WA! 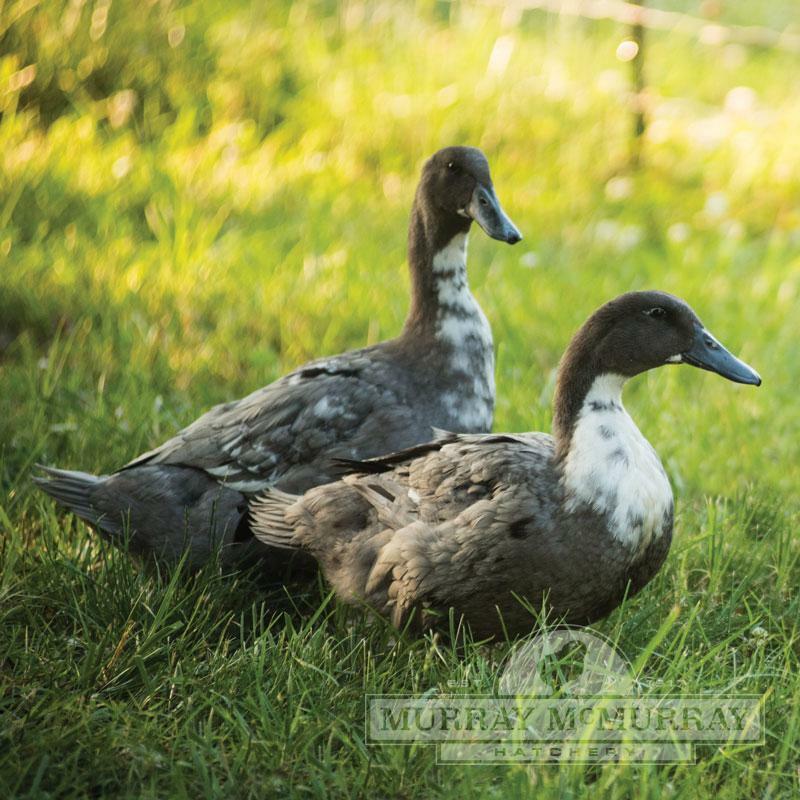 Blue SwedesAlthough I didn't get them from McMurray (well, actually I did once, but I started the ducklings for a friend who didn't have brooding facilities), I really like this breed. The ones I got for myself came from another hatchery (back in the days when you only sold chicken chicks). They are beautiful. I've always been partial to the blue color in poultry. 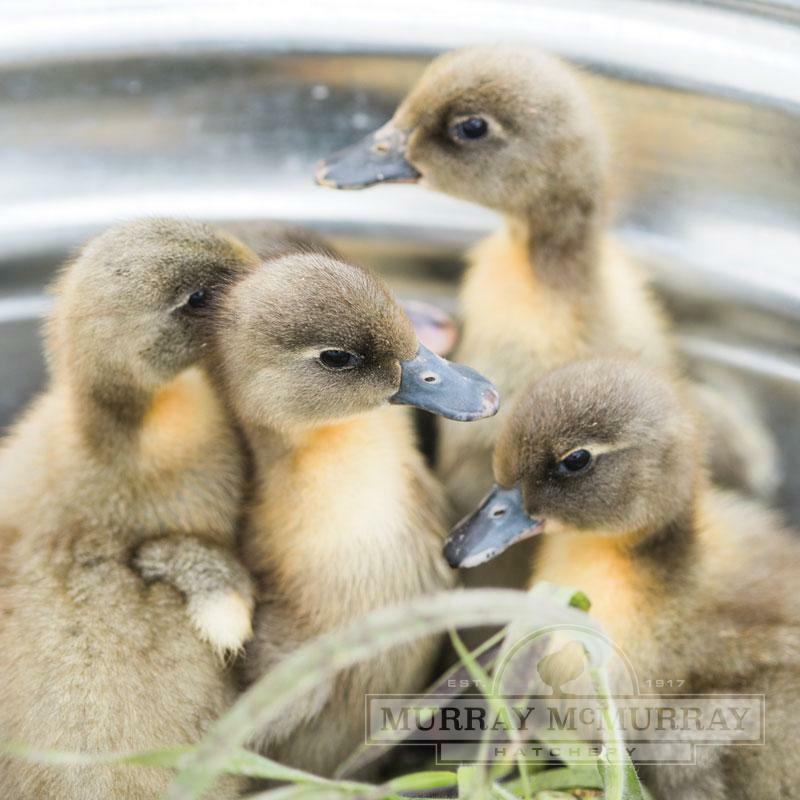 They are decent setters and mothers, and it's always fun to see what different colors and how many of each will hatch. 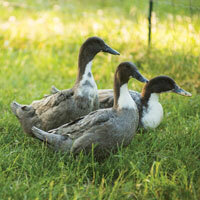 For practical small livestock on the homestead, ducks in general can't be beat. They are friendly, entertaining, hardy, and require minimal care other than protection from predators and proper water management to avoid muddy messes. 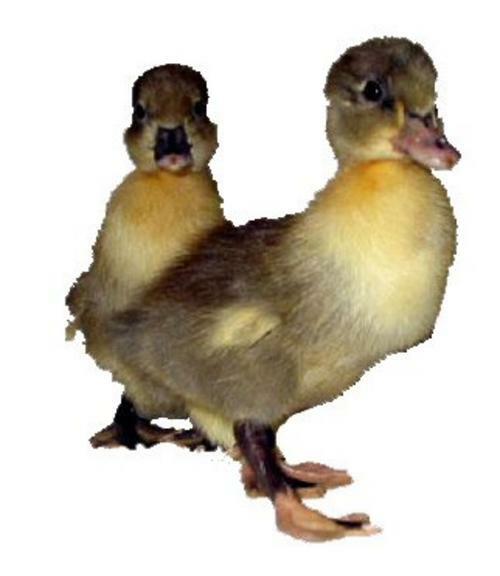 In my opinion ducks are better meat birds than chickens. You get a much better meat to bone ratio. Even large breeds like Brahmas have a lot of bone, esp. in the breast. 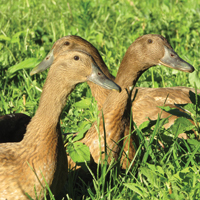 Medium-large to large duck breeds like Blue Swedes and Rouens can't be beat for meat production on the homestead. And unlike broilers or broad-breasted turkeys, they are sustainable. Go McMurray!